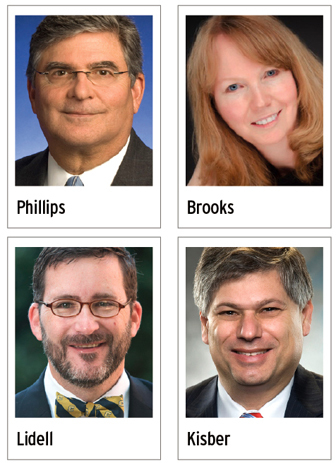 How is the Tennessee partnering with private industry to advance jobs growth and skills advancement? “This reality causes businesses themselves to sometimes have difficulty knowing exactly what skill sets they may need in their future workforce. It is clear that the kinds of jobs in demand are changing as the demand for manual labor declines, automation replaces more and more knowledge work and skills-based technology demands more highly skilled workers. ‘We have partnered with construction (Clayton Homes); Toyota (automotive); Lee Company (HVAC, plumbing, electrical); UCOR @ Y-12 (construction) as well as trade organizations where resources and efforts are limited. You work with college students to guide them in their ultimate career choices. How important is it for today’s students to think about future employment while they are still in school? Are they putting too much pressure on themselves? “You are talking about that push-pull of passion versus practical. It can work out well for those pursuing a linear degree, which is when you know exactly what you’re doing like someone pursuing an electrical engineering degree. “If a student goes into an interview and just says, “yeah, I’m an English major;” that’s probably not going to work. But they could explain the value of an English major and how they learned to analyze and understand people by reading about character development. What’s the hardest thing or the biggest challenge for students when they are deciding on a career? Integration: Students are interested to integrate multiple skill sets, contexts, experiences, communities and knowledge bases to a much greater degree than prior generations. Impact: Students seek meaningful work aligning their sense of self, their sense of balance and the work itself towards an integrated wholeness. Social justice and an opportunity to close persistent inequities are also important reasons to work. Interactivity: Students have been encouraged to develop complementary skills throughout their education by being placed into groups. These complementary skills manifest when students and younger employees break into networks (within and external of organizational ‘boundaries’) where their loyalty to their tribe and ability to contribute has been established. Identity: Students are broadly defining their identity and are much less reliant on external validation than prior generations. Students might assert their identity when they feel underrepresented and might subordinate their identity to a social problem they find larger than themselves. You are CEO and president of Silicon Ranch, one of the largest independent solar power producers in the country and president of the Tennessee Advanced Energy Business Council, an organization of companies and experts that promote advanced energy in Tennessee. Can you describe specific examples of the kinds of jobs available in this sector? “The sector is quite diverse. You can look at companies like ours [Silicon Ranch] that hire electrical engineers, civil engineers, and also people that specialize in construction that are looking at dividing, building and operating power plants. “There are companies like Shoals Technology Group in Portland that makes components for solar systems, and they export all over the world. “The whole transition from combustion to electric mobility is a huge job opportunity and job creator. You have everything from advanced manufacturing to the engineering to the designing of the battery and then the manufacturing of the battery. The advent of economical battery storage is considered to be a significant game changer. Whether a battery is being manufactured for an automobile, for home storage or to bridge storage it’s basically the same battery. We have all this manufacturing going on in Tennessee. “FedEx in Memphis is looking at all types of sustainability efforts. One example: they are using lower carbon and fuel sources for the trucks that distribute and deliver packages, and they are doing research and experimenting with renewable based fuels that could power airplanes and using lower sustainability sources to power their data centers. “Advanced energy is a very broad sector with diverse jobs from manufacturing to research to process. There is a company in east Tennessee called Eastman Chemical Co., and they are looking at how their processes can be more sustainable. Even a job as a chemical process operator is a great employment opportunity. “Just look at a company like Proctor in Bradley County, where there are billion-dollar investments in manufacturing polycrystalline silicon, which is used to make solar panels as well as computer chips.